CarGurus has 358 nationwide Solstice listings starting at $3,700. 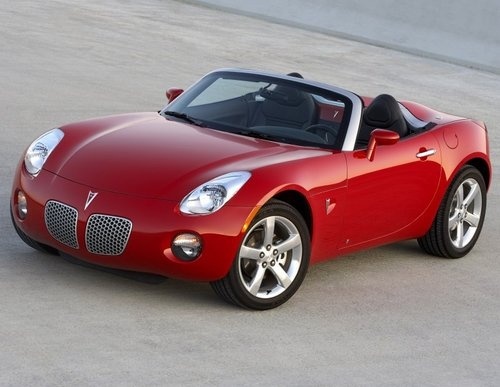 The fact that there’s a truly American roadster out there speaks volumes for the 2009 Pontiac Solstice, especially considering it stops, goes, and turns so darned well. 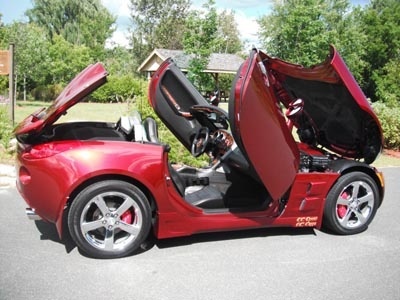 Cheap interior materials, uncomfortable seating, non-intuitive controls, and a trunk that will barely fit your manual are some real sore spots for the 2009 Pontiac Solstice. 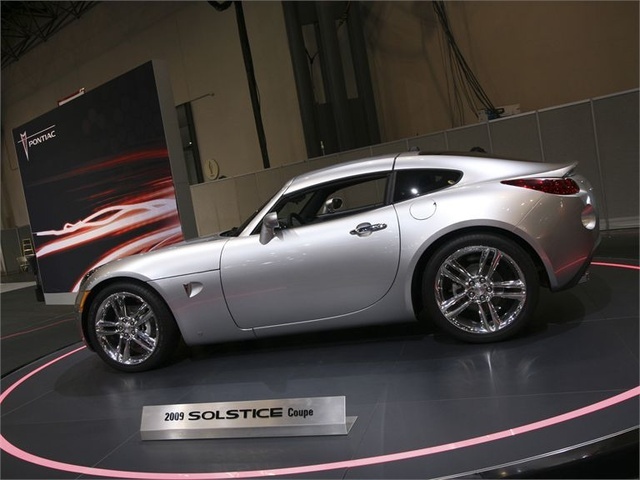 While the 2009 Solstice has the performance and the looks to be a solid competitor with the Miata, it still lacks the precision and practicality of its cousin. It would be nice to have the power of the turbocharged 2.0 without having to suffer the perhaps too-aggressive suspension of the GXP. Rumors of a re-design in 2011 will hopefully put this roadster a little closer to perfection. Sharing the American roadster stage with the Saturn Sky, the Solstice has been a hit for Pontiac since its introduction at the 2004 North American International Auto Show. Now in its fourth year of production, it’s the last true vestige of “excitement” that Pontiac still claims to be building. With two trim options for this two-seat convertible, the Solstice offers “fun” or “funner,” depending on how aggressively you feel like hitting the pavement. Notable and new features for 2009 include standard ABS, traction and stability control, and a limited-slip differential for all trims, as well as Bluetooth connectivity. 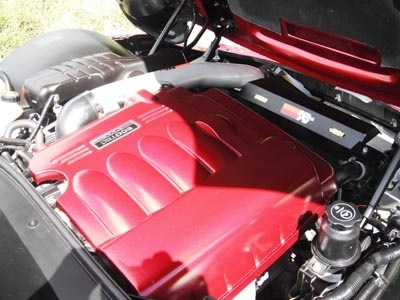 The Solstice comes with one of two engines: a 2.4-liter, 173-hp inline four that comes in the base model, or the GXP's turbocharged, 260-hp 2.0-liter. With either engine, you’re not going to cry for more power in most situations, although both are a bit sluggish from a launch - the 2.4 liter from a lack of power, and the 2.0 from turbo lag. The 2.4 seems reluctant to rev, and could use a bit more punch for passing, but otherwise is a nimble engine and a completely passable option for the base powerplant. It pushes the base Solstice from 0-60 in 7.2 seconds. The turbocharged 2.0 in the GXP will make the same trip in 5.5 seconds, however, and that’s a big difference. What's even more impressive is that those numbers stand regardless of choosing the automatic or the manual, which has actually received some criticism for being too imprecise and notchy. Pontiac recommends premium fuel for both engines, which will deliver EPA estimates of 19/25 mpg and 19/28 in the 2.4 and 2.0, respectively. Expect to lose 1 mpg on the highway with the automatic. It’s just fun. It’s hard to say more than that, because that’s just what it is. The base model is confident and controlled, whether in a straight line or through hard turns. Perhaps more importantly, it remains composed and calm over bumps and broken road, which is no small feat in a roadster with a 95-inch wheelbase sitting on 18-inch wheels. The steering is responsive and neutral, but don’t expect the kind of balance and precision you get with the Miata, which has had more time to perfect things. Some reviewers have even gone so far as to describe the Solstice’s steering as slightly heavy-handed. The GXP is better in the turns, with its more aggressive suspension, although it can get a little hoppy when encountering uneven pavement, especially during hard cornering. For overall comfort and fun, the GXP might actually be too aggressive for day-to-day driving. Now that stability and traction control, as well as a limited-slip differential, are all standard for all trims, the base model is a more attractive option than ever. Complaints have arrived for both form and function in the controls and cabin of the Solstice. Deeply recessed gauges with unnecessarily gaudy graphics seriously impede visual recognition, not to mention the actual physical obstruction of the steering wheel. Surprisingly, even in a cabin as small as the Solstice’s, some controls are just awkward to reach. While the Solstice can be had for less than thirty grand, it’d be nice to see something other than hard plastic adorn the interior. Even for hard plastic, it just looks cheap. This could perhaps be forgiven, if it weren’t for the multitude of complaints regarding squeaks and rattles that have been heard since the first year of the Solstice. The Solstice feels smaller inside than the Miata, but there’s still a good amount of head and leg room, partially due to a too-low seat that hampers entry and exit. 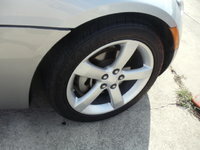 While offering good support and comfort, they’re just low enough to be a nuisance, especially for shorter drivers. Further aggravation for those well under 6 feet will come from the humps positioned directly behind both seats, which while pretty, do a wonderful job of obstructing rearward views. Great for looking at, terrible for looking past. Finally, if you’re considering taking anything with you in the Solstice, other than what you can cram in your pockets, forget it. GM claims 5.4 cubic feet of trunk space, but consider that a dubious claim at best, not to mention the fact that it’s probably the least practical five and a half cubic feet ever encountered. NHTSA ratings come in at four stars, excepting rollover resistance, which received the top rating of five stars. This is reassuring, considering that side airbags aren’t even an option. Now that ABS, traction/stability control, and LSD are all standard, every Solstice is equally safe and fun, just like your mom wants. Let’s face it, with a car like the Solstice, a lot can be forgiven. People aren’t exactly looking to buy one with practicality in mind. As we said, the car is just fun to drive. However, while no one expects cavernous trunk space with a roadster, issues regarding seat comfort and controls should have been addressed by now, especially with a car in which performance is the main issue. 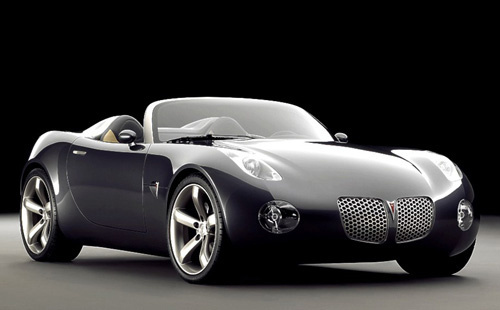 What's your take on the 2009 Pontiac Solstice? 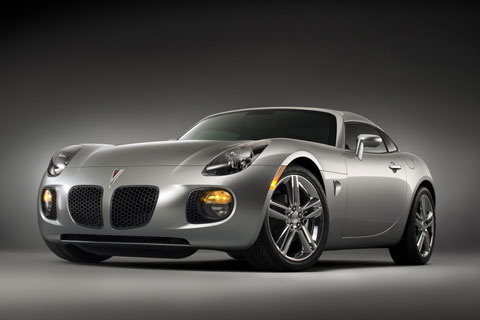 Have you driven a 2009 Pontiac Solstice? Does Anyone Else Have A Solstice Gxp Coupe ? 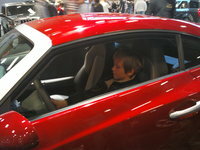 Just wondering if I am alone holding on to a brand new car. How many 2009 solstice gxp coupe were produced ?